Cook the russet and sweet potatoes according to your desired method. You can bake them or boil them. To bake them: Pierce the potatoes with a fork and bake them for 60-70 minutes in the oven at 400°F. Slice potatoes in half and scoop out the pulp with a spoon and mash, keeping the russet and sweet potatoes in seperate bowls. To boil them: Peel the potatoes and dice into one inch cubes. Boil for 15-20 minutes or until fork tender. Drain and mash keeping the russet and sweet potatoes in seperate bowls. Add 1/3 cup sour cream, 1/3 cup milk, and 3/4 teaspoon salt to the mashed russet potatoes. With a mixer, blend until smooth. Spread evenly on the bottom of a greased 9x13 baking dish. For the sweet potato layer, add the remaining 1/3 cup sour cream and 3/4 teaspoon salt. Mash by hand or blend with a mixer until smooth. Spread evenly over the mashed russet potato layer. At this point, you can refrigerate the dish to bake up to 24 hours later. Pour melted butter over the top of the sweet potato layer and bake at 350°F for 20 minutes or until heated through. Thanksgiving is a potato lover’s dream. Mashed, baked, au gratin, scalloped, or fried, potatoes are certainly one of the most versatile vegetables of the holiday. And of course I can never decide which I like better, plain white mashed potatoes or sweet potatoes. With these Two-Toned Twice Baked Potatoes you don’t have to choose. 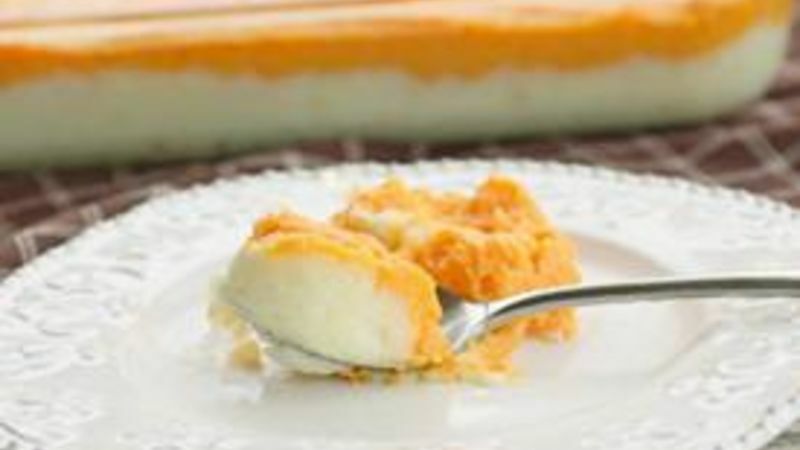 A creamy layer of traditional white mashed potatoes is topped with a layer of vibrant sweet potatoes. You can bake the potatoes according to your favorite method, whether it’s boiling or baking them in the oven. I chose to poke some holes in mine and throw them in the oven. When they’re done, just slice them in half and scrape out the pulp. Of course you can doctor your potatoes with some fixings just like you would regular mashed potatoes. I added a little butter, sour cream, and milk to make them extra creamy. Then just layer the mashed russet potatoes first followed by the sweet potato layer. This potato dish is great because it can be prepared ahead of time and stored in the refrigerator until you need it. When ready, just pour on some melted butter for good luck and bake until nice and warm. These are definitely a unique addition to the traditional Thanksgiving feast and are eye catching with beautifully layered colors! If you're looking for a variety of potato recipes, you've come to the right place! For more ideas, see our Potato Side Dish Recipes collection.